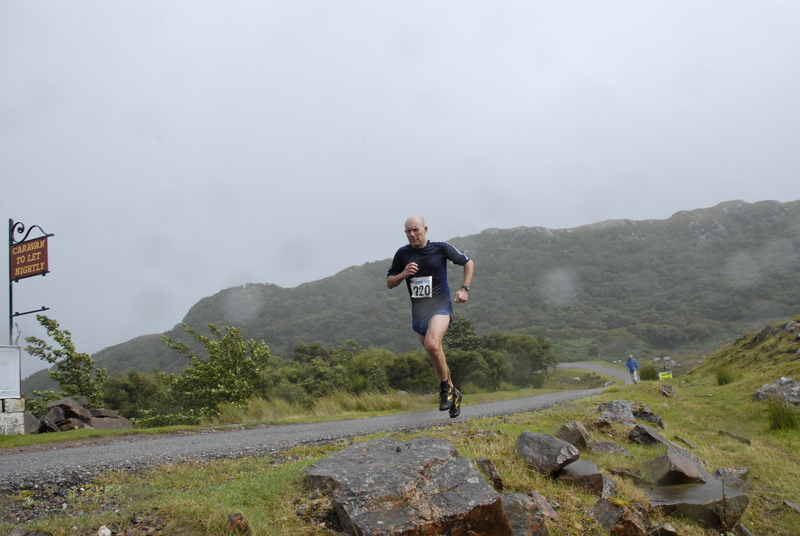 The run distance is 14.3km (just under 9 miles), with an ascent of 471 metres, whilst the cycle is 24.1km (15 miles), with an ascent of 538 metres. 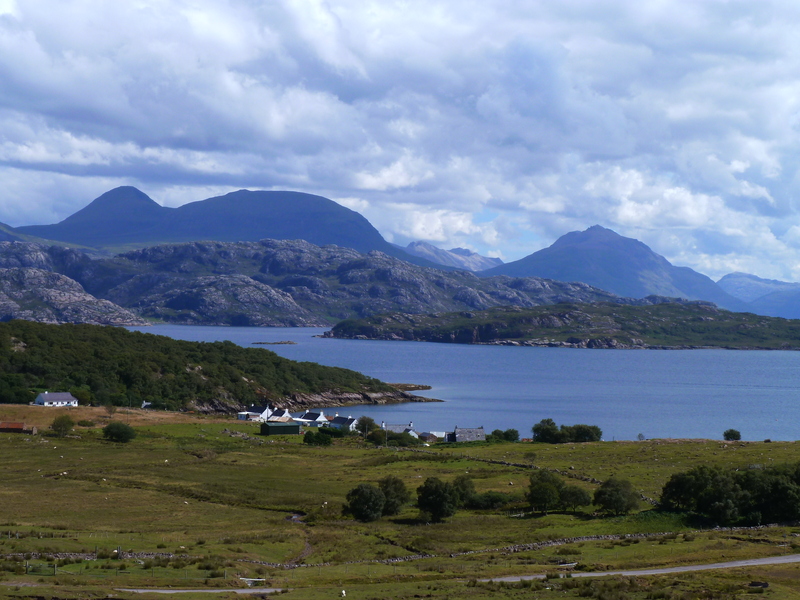 The Start is a kilometre inland from Applecross Bay. 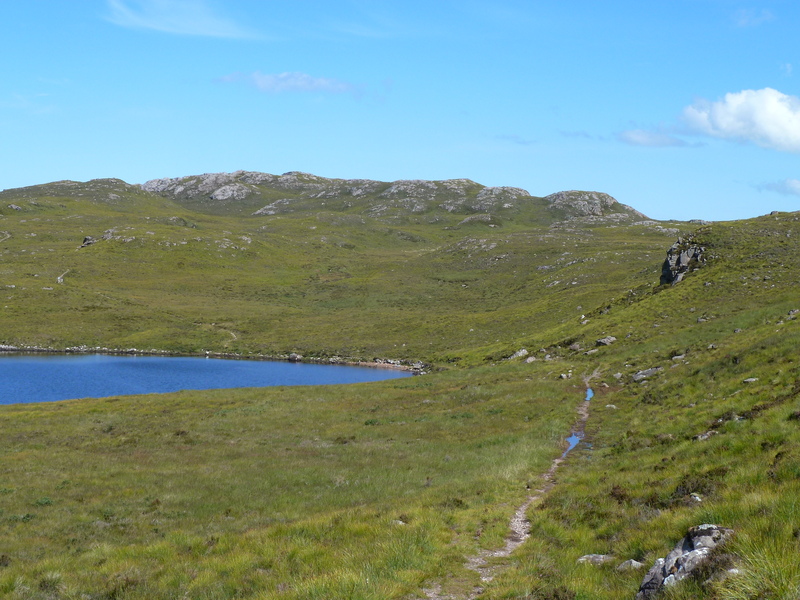 From there you follow the ancient right of way path northwards, through wild and dramatic terrain, across the peninsula to the coast road, near Kenmore, on Loch Torridon. 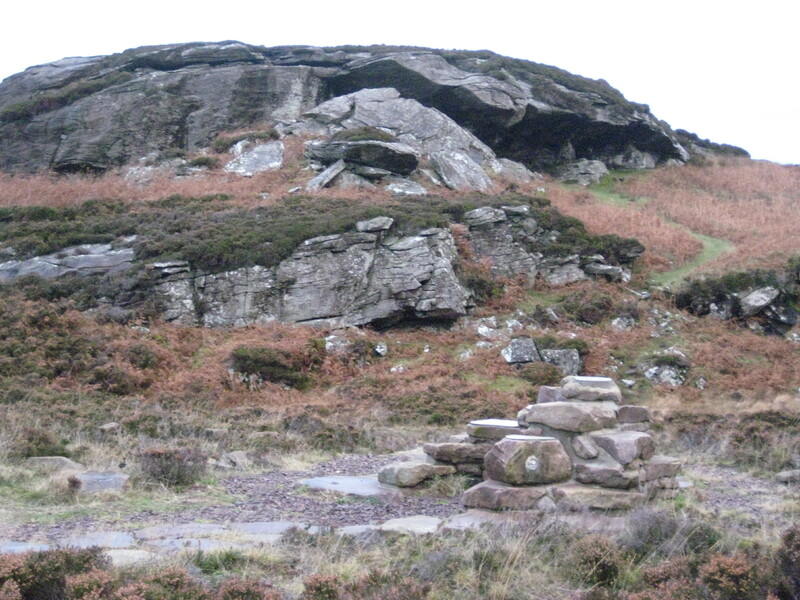 The highest point on the run is 260m. Turn left for the final 1 mile on foot to Transition, at Arrina. 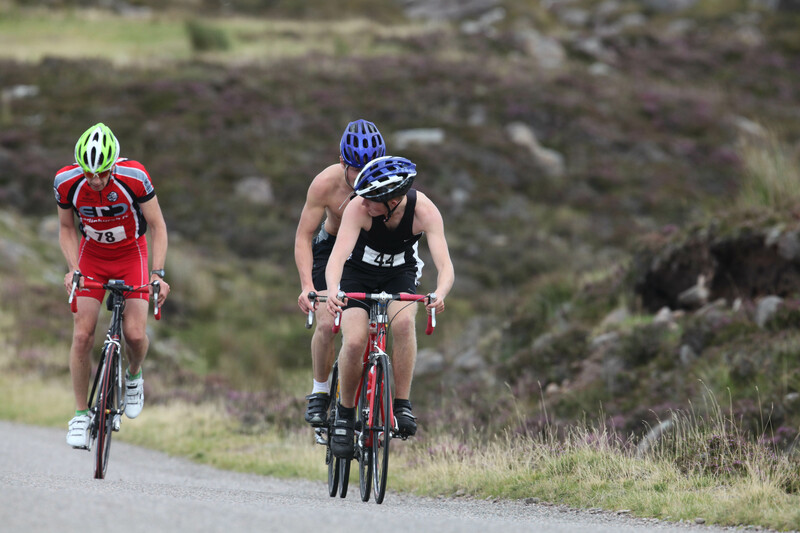 From there you cycle back for 15 miles, west then south, round the coast road to the Finish in Applecross bay, a short distance from the Walled Garden bistro and Applecross House. 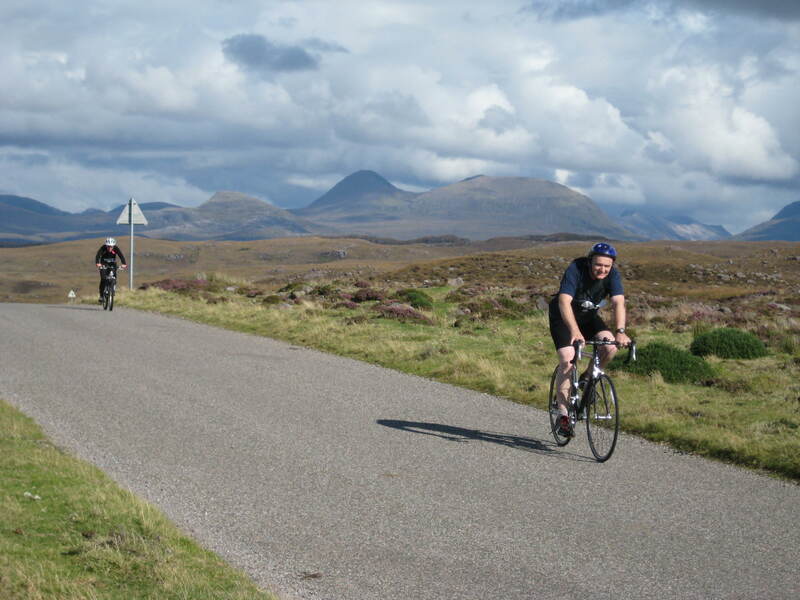 The cycling route gives stunning views of Loch Torridon and across the Inner Sound to the Skye Cuillin. NB because of issues around safety and traffic congestion the Finish has been moved to the road between the “White Gate” and the Walled Garden where there will be no traffic. Car access to the Walled Garden will still be possible via the road up to the Start and then by a right turn over the “Home Bridge”. From the Start, near Hartfield House, 10m above sea level, the route goes north-east by track. 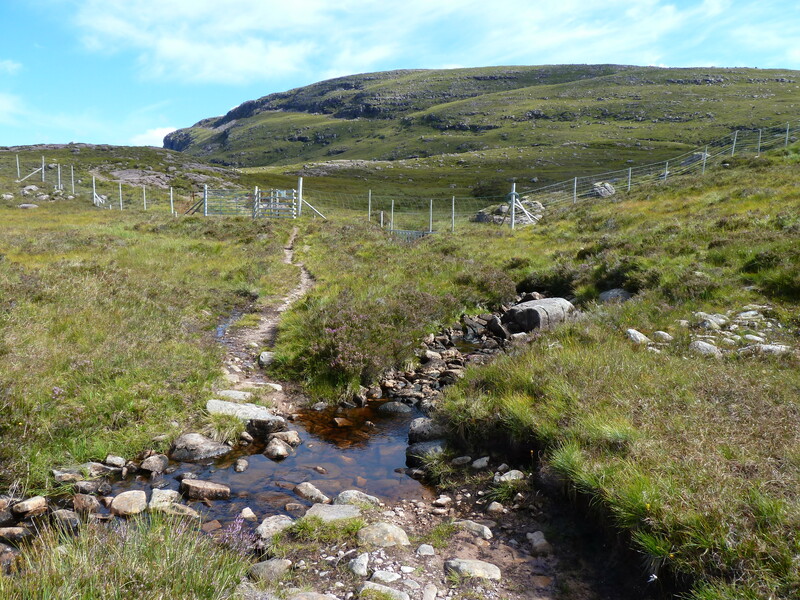 The Applecross river, Coire Attadale and the Corbett, Beinn Bhan, are on your right. Before the clearances, many hundreds would have lived in this area. 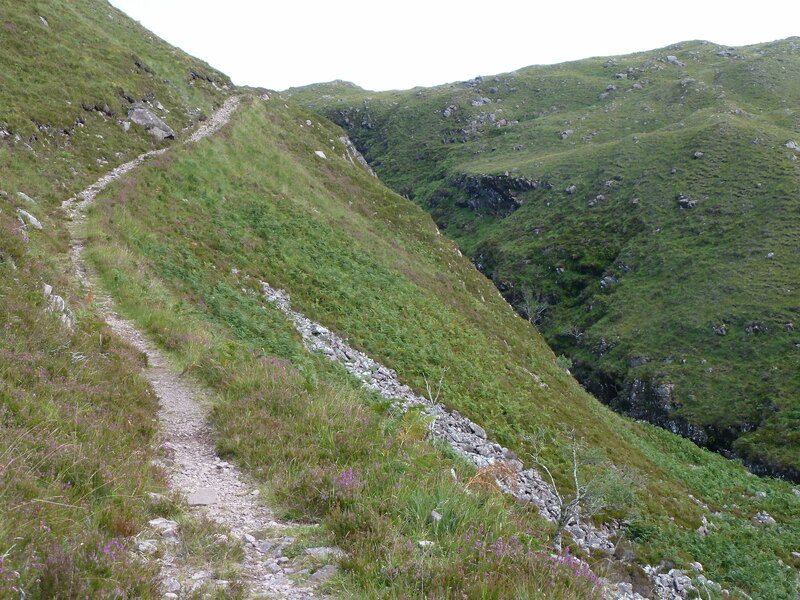 After 2.5 miles the track becomes a path which climbs hard, on rough ground with the tumbling river below, to the right. The top of this climb, at 250m, comes after 3 miles. Soon you reach a stream that is tricky to cross after rain. A large rock a few yards up stream may help. On the other side is a gated deer fence followed by a fork in the path which is marked by a cairn – keep left. The next 3 miles are undulating and can be muddy. 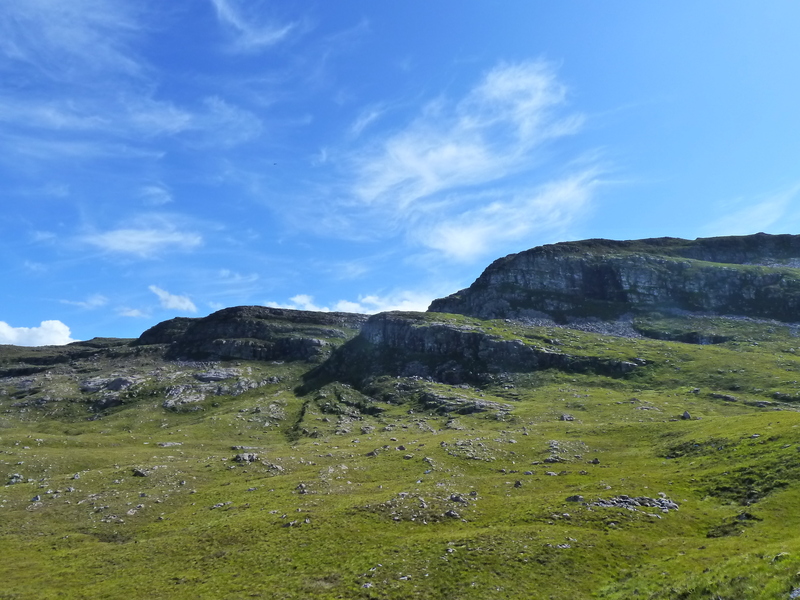 Around 4 miles the highest point is reached, at 260m, with the craggy slopes of Croic-bheinn on your right. 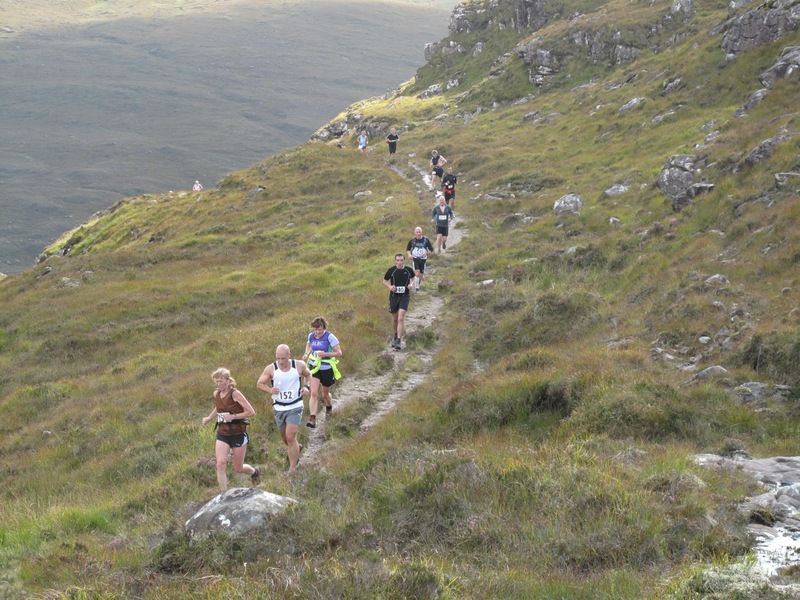 You now run downhill, for over a mile, before skirting the mini beach on the east side of Loch Gaineamhach, the “Sandy Loch”, at 205m. 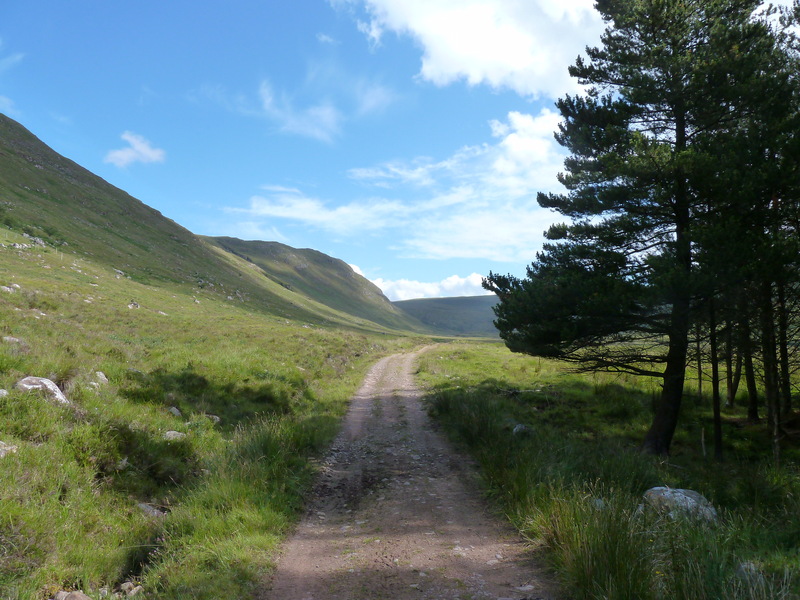 Then, it’s uphill to 230m, at 6 miles, where you swing left just after passing Loch a’ Bhealaich. Two fast miles downhill take you to the road at 50m elevation, a little west of the village of Kenmore. On the descent there are views of Loch Torridon with the village of Diabaig, on the far side, whilst, further right, is a gnarled landscape of Lewissian Gneiss with Ben Allligin behind. 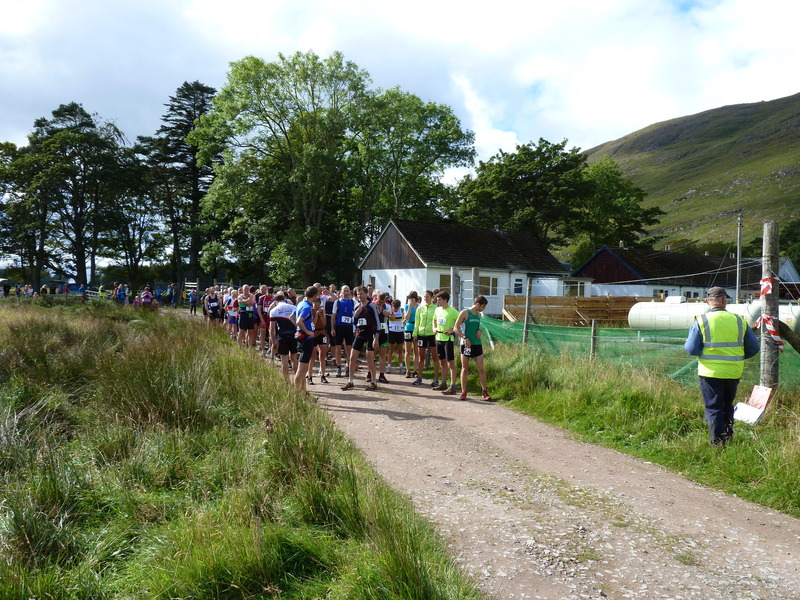 A testing final mile, up and down along the road, brings you to the Changeover by the old school house, at Arinacrinachd (“Arrina”). 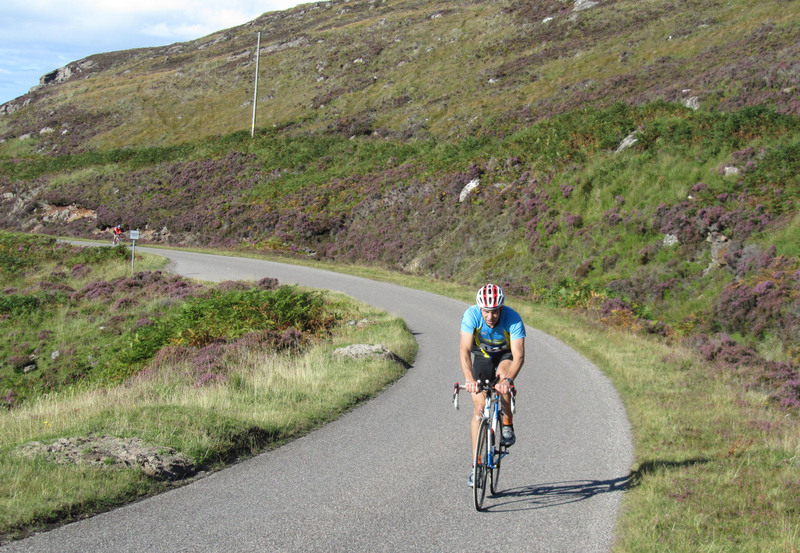 The first 2 miles on your bike are undulating, north-west, alongside Loch Torridon, and past Fearnbeg. At Fearmore, around 11 miles, the Clisham, on Harris, may be visible beyond the north tip of Skye, Here you swing south-west and, possibly, into the prevailing wind. 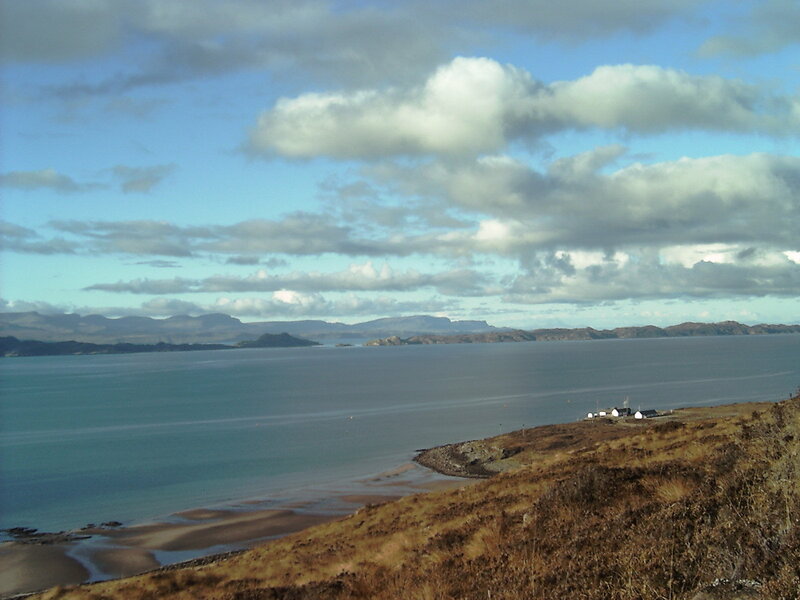 Heading south, the islands of Rona and Raasay are just 4 miles away across the Inner Sound. The road passes close to some picturesque lochans then over the Abhainn Chuaig (stream) after about 4.4 miles on the bike. Just after 5 miles you reach a view point, 80m above the sea and the highest point on the cycle. You should make good time over the next 5 miles, past Callakille, Lonbain and Salacher, enjoying views of the Cuillin Ridge, Bla Bheinn and Beinn na Caillich, above Broadford. Around 10 miles you pass the turn-off to the naval base at Sand (nuclear subs are common visitors to the Inner Sound and all shipping is closely monitored from this base). Just before the turn-off, an overhanging rock marks one of Scotland’s oldest known dwelling place, a Mesolithic settlement from 7,000 BC. Nearby, above the beach, is the basic dwelling used by Monty Halls for his “Great Escape” featured over 5 episodes on BBC2. 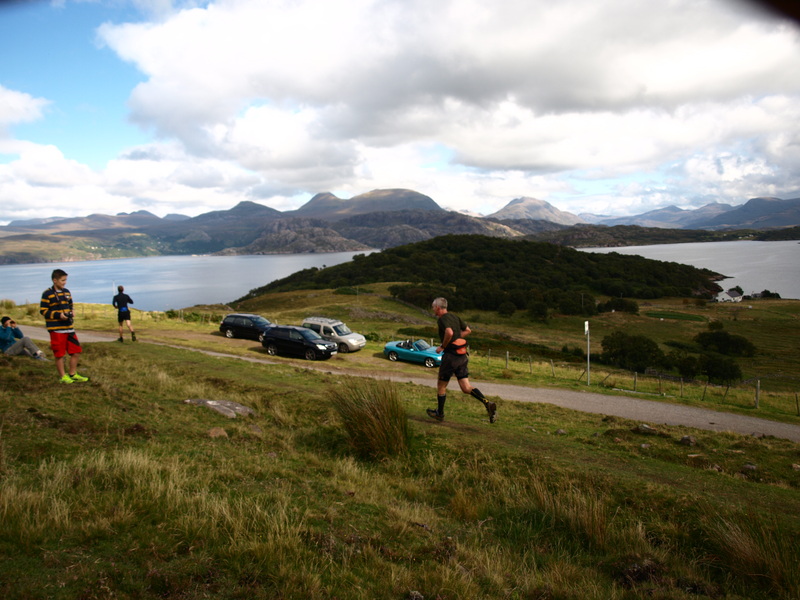 You now face the last significant climb of the event but any pain should be eased by one of the finest views in Wester-Ross, across the huge golden beach to the Skye hills. 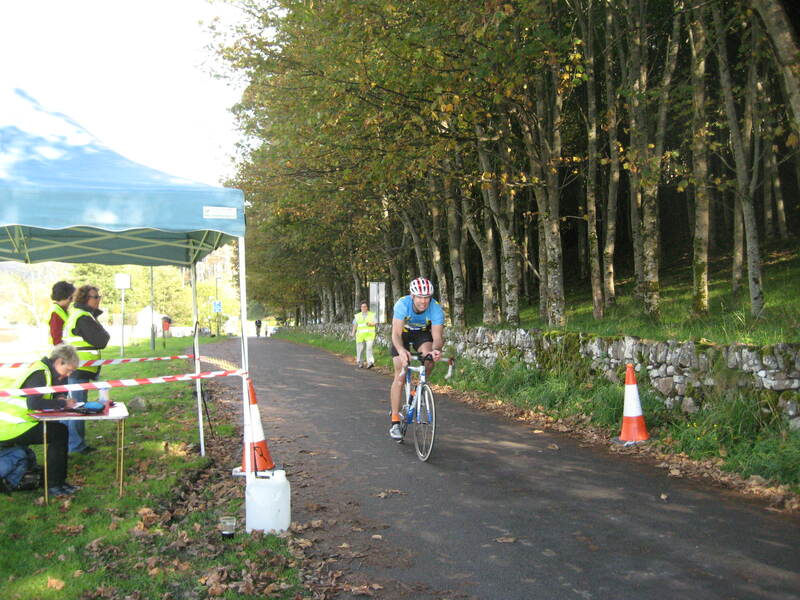 You will speed past 11 miles, at the foot of the steep hill. 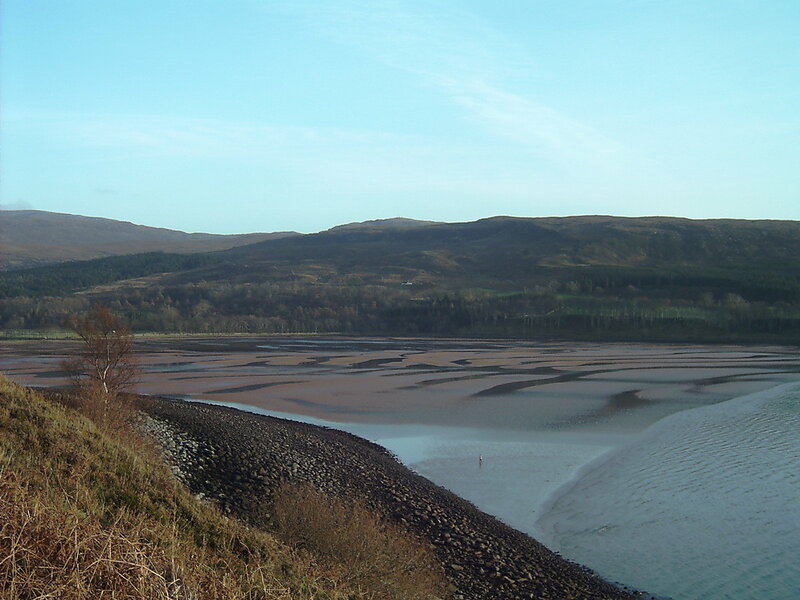 Between 12 and 13 miles the road swings east and you will be looking across Applecross Bay to the white houses in the villages of “Street” and Milltown. The final 2 ½ miles is a scenic sweep around the bay. The “Clachan” church on the site of St Maelrubha’s, or Maree’s, 7th Century monastery, will be passed, on your left, at around 14 miles, then it’s a sprint to the Finish but with a sharp left turn to negotiate at the “White Gate”. 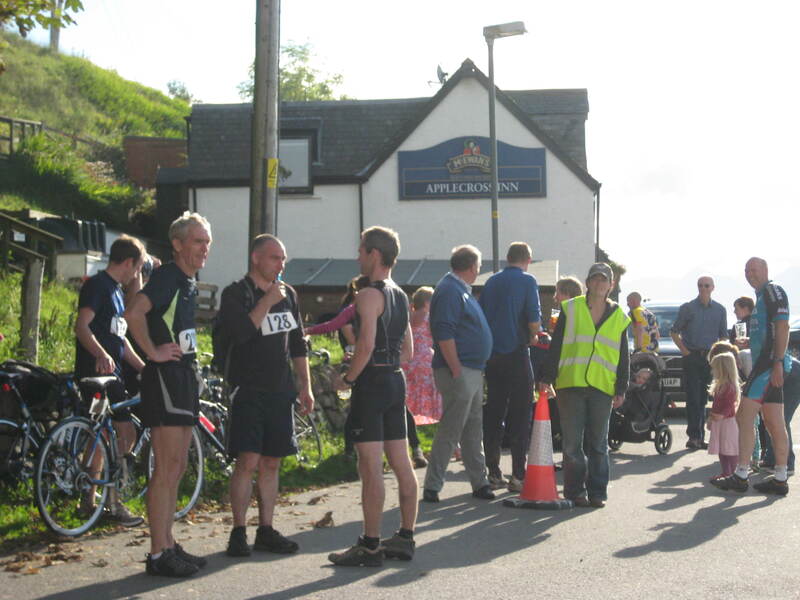 Refreshments, alcoholic and otherwise, will be available near the Finish in the Walled Garden bistro.